Bottom Line: A juicy Italian varietal blend for the table. 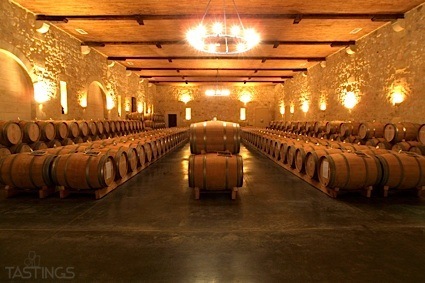 While many famous wines in Italy, such as Barolo or Brunello di Montalcino, are produced entirely from one grape type, most red wines are blends of several varieties. Most examples of Chianti are blends of several varieties, with Sangiovese as the principal grape as well as Canaiolo, Colorino and/or Merlot and Cabernet Sauvignon. Bolgheri is another examples, as this red wine from coastal Tuscany contains Cabernet Sauvignon (sometimes a small amount, often a large amount) as well as Merlot, Cabernet Franc and Sangiovese. There are also white varietal blends; some of the best of these are from Friuli and contain varying amounts of several grapes such as Friulano, Sauvignon, Ribolla Gialla, Chardonnay and others. The main purpose of crafting one of these varietal blends is for greater complexity; aging potential is often another reason. 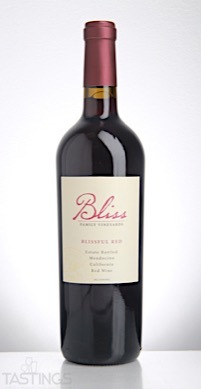 Bliss Family Vineyards Blissful Red, Mendocino rating was calculated by tastings.com to be 86 points out of 100 on 5/12/2017. Please note that MSRP may have changed since the date of our review.